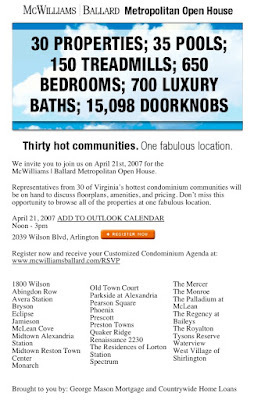 Apologies for the late notice, but McWilliams|Ballard hosted a party today so party goers could meet representatives for 30 Virginia condos under construction or recently completed. And, I assume, lacking buyers. Needless to say, this wouldn't have happened in 2005.